This is your chance to fulfill the dreams that began stirring when you read that first book — historical novel, restoration adventure, or murder mystery — set in Italy. We’ve all longed to go there ourselves and now you can. Discover the beauty those literary musings brought to life up close and really personal. Participants will receive the three chosen books to read prior to your arrival in Italy*. (Yes, it’s going to be up to you to read the books.) 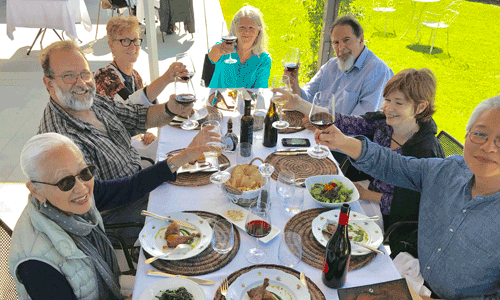 The second part of the book club will take place in Italy — yes Italy— where I will lead you on a 7-day tour to discover the places, experiences, and flavors you will have read about. 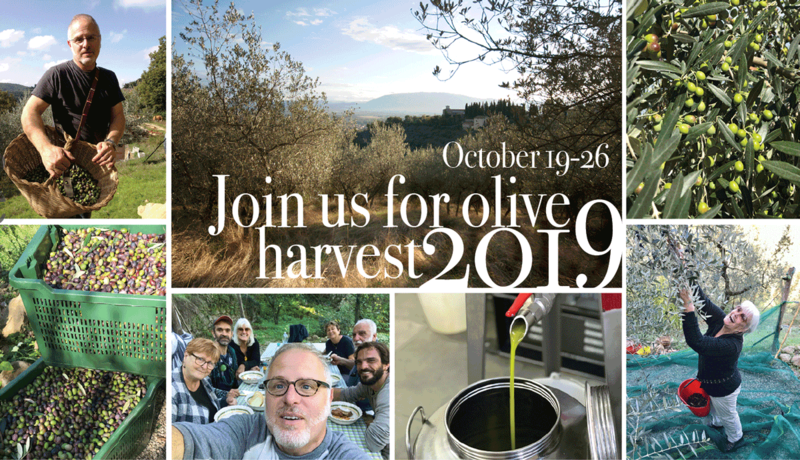 Join us as we tour a medieval abbey, treasure hunt our way through Orvieto, comb the hills above Spoleto for truffles, and much more. It’s sure to be an extraordinary adventure! ATTENTION Book Clubers: If you can’t join us for this tour, why not plan your own adventure whenever you like. 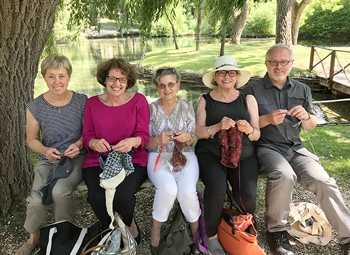 I’m happy to work with any existing club or library group. 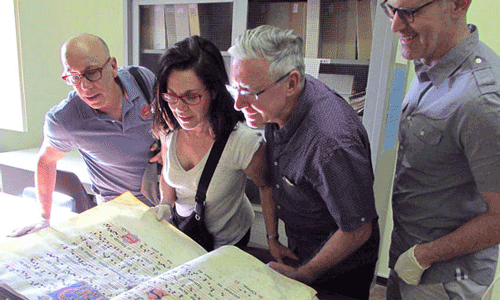 Book Club tours can be arranged for any time between mid-April to mid-November with a minimum of 4 participants. Pick a date and we’ll make sure you’ll have an extraordinary experience. 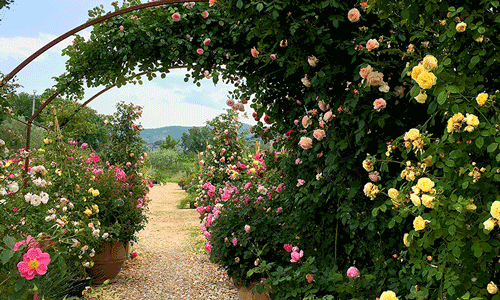 NEWS FLASH: A new RAI TV version of The Name of the Rose was filmed in Umbria last year. YES! We will visit several of the locations used in the filming, including the Abbey of Montelabate. The three books, included in the cost of the package, will be sent to you as soon as your deposit is received. 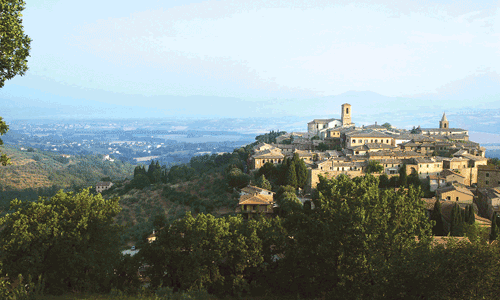 Bettona, Umbria: Accommodations will be at the wonderful Palazzo Fiumi-LaPlaca in the picturesque hill town of Bettona. Located 18 kilometers from both Perugia and Assisi in the heart of Umbria, the restored 17th-century palazzo offers a variety of extraordinary accommodations for a spectacular vacation. (Private apartments with full kitchen, living and dining room areas and private baths or shared accommodations available.) Nestled within its medieval walls, the town and palazzo are the perfect place from which to set out and discover the locals of our books. 1. Umberto Eco’s The Name of the Rose. The acclaimed murder mystery, set in 1327, takes place in a medieval abbey set against the backdrop of an early Inquisition. We will visit two abbeys that will surely conjure up the darkened halls and passageways of the book. The first is the wonderfully somewhat derelict Benedictine abbey of Montelabbate (which is opened by appointment only), which dates to the ninth century. The Abbey’s highest splendor was reached between 1200 and 1300, and late 14th-century frescoes attest to its importance. Eco’s well crafted story of murder and deception in an age when high principles too often brought out the worst in people will be evoked at every turn. Several scenes for the upcoming RAI TV remake of The Name of the Rose were shot this spring at the abbey so I was right all along that it is the perfect setting. Other scenes were filmed in Perugia and nearby Bevagna. After our tour we will head to Borgo Santa Giuliana, near Umbertide, for a picnic on the grounds of this 13th century castle with its only full time resident. A special treat indeed. 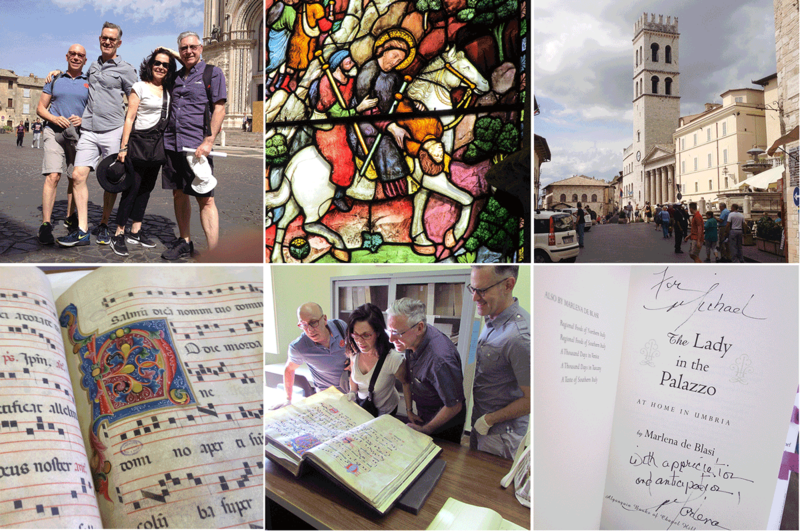 We’ll also get to visit a mountaintop convent and a museum library in Assisi to leaf through a 14th century illuminated manuscript. 2. The Lady in the Palazzo by Marlena de Blasi. This novel, by the author of A Thousand Days in Tuscany, is more than just another house restoration tale. It really is about falling in love with a town and making a home there. Charmingly written, you’ll want to wander Orvieto‘s streets yourself – and you will. 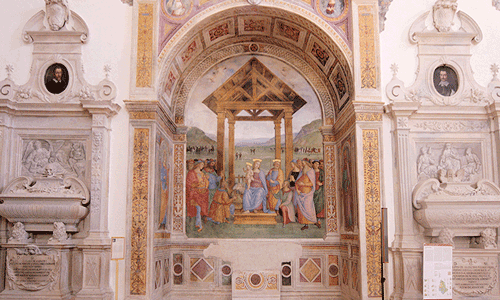 Explore Orvieto’s fantastic duomo (with its frescoes by Luca Signorelli and Fra Angelico) as well as the medieval back streets and alleyways in search of de Blasi’s world. Lunch will be at a wonderful small restaurant that serves amazing food — they make a pasta dish called nidi that is one of my favorite pasta dishes of all time. 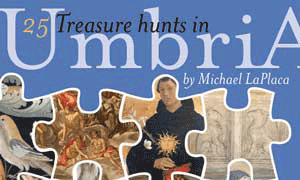 The specially designed treasure hunt is a favorite of guests. Oh, and last year we ran into the author at a street cafe — very exciting. 3. Living in a Foreign Language by Michael Tucker. The actor Michael Tucker, along with his wife, the actress Jill Eikenberry (both from LA Law), tells his story of discovering Umbria and buying a house near Spoleto. Tucker waxes poetic about many of the places we will visit on our tour. Just reading this book over the winter made me homesick. We’ll visit the agriturismo Bartoli atop Mounteluco — stunning views all around — for a morning truffle hunt and then enjoy a rustic truffle lunch. Join us for an unforgettable experience. 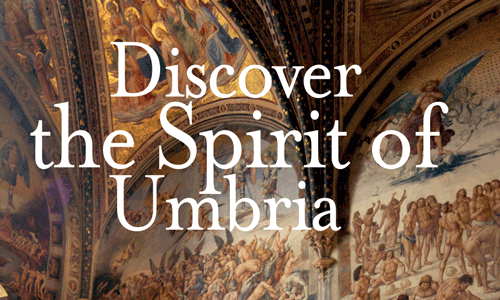 Contact info@aweekininumbria.com for more information. *One set of books per couple will be provided.